Ships tomorrow if you order in the next 17 hours 32 minutes. 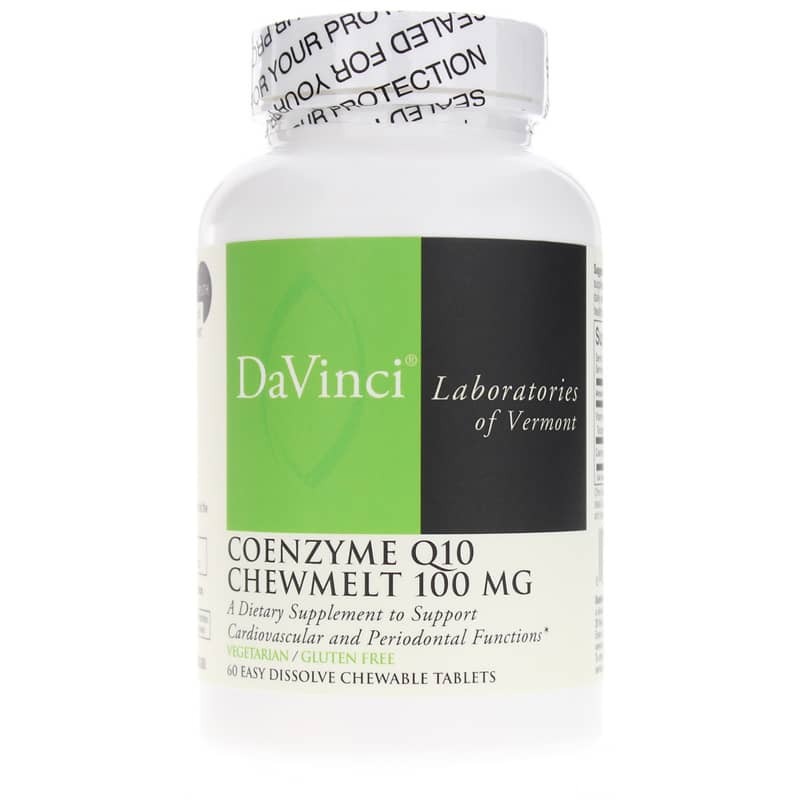 Coenzyme Q10 Chewmelt 100 mg from DaVinci Laboratories is a dietary supplement to support cardiovascular, liver and gum health. CoQ10 is an essential catalyst for the creation of energy at the cellular level. It is a vital nutrient for the formation of Adenosine Triphosphate, the basic energy molecule used by every cell. 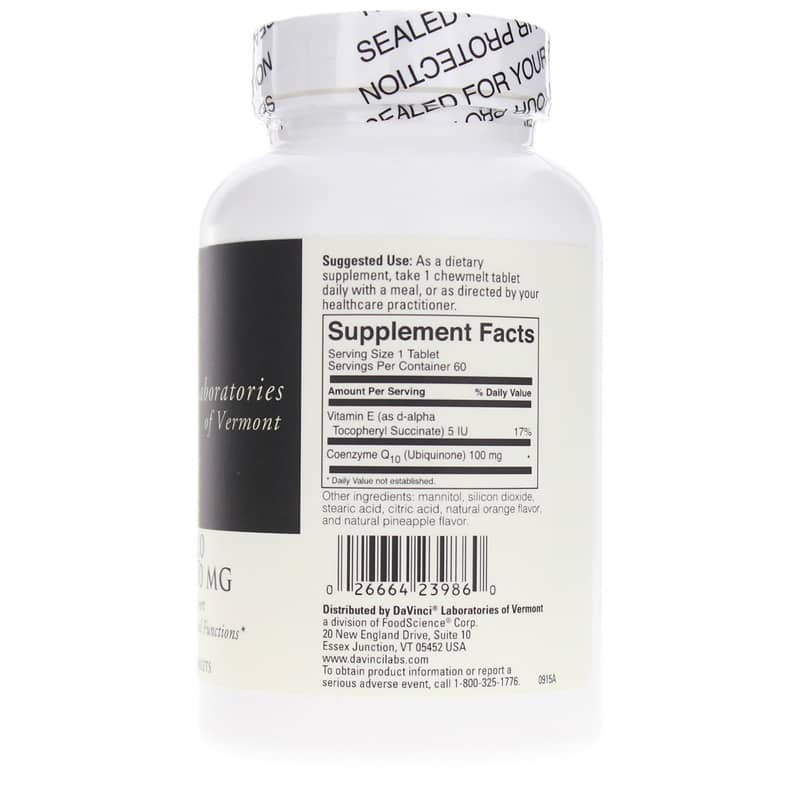 An important antioxidant, CoQ10 helps promote heart, liver, and gum tissue functions. The coenzyme is found in the highest concentration in high-energy organs, including the brain, heart, muscles, liver, kidneys and pancreas. Coenzyme Q10 Chewmelt 100 mg comes in a pleasant-tasting, quick-dissolving chew melt tablet. Other Ingredients: mannitol, silicon dioxide, stearic acid, citric acid, natural orange flavor and natural pineapple flavor. Contains NO: gluten. This product is vegetarian. 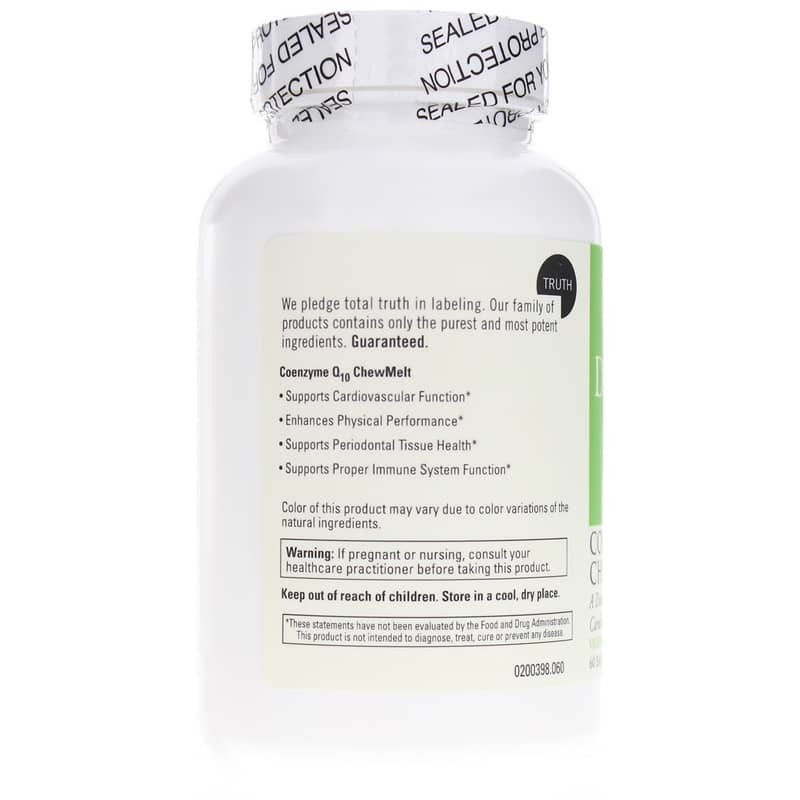 Adults: As a dietary supplement, take 1 chewmelt tablet daily with a meal, or as recommended by a healthcare professional.